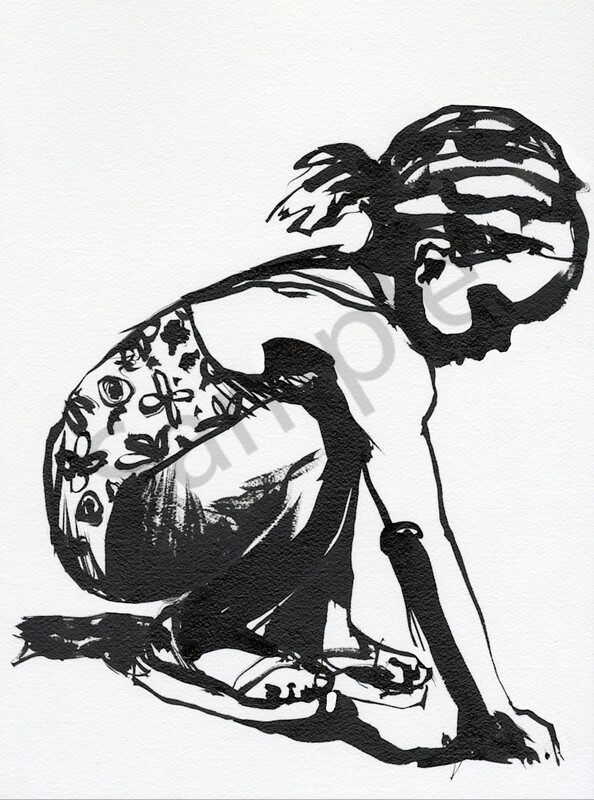 Ink drawing of a Caribbean girl playing with sand at the seaside. This drawing is part of a series of black & white ink drawings I made to research materials within my Beach Life theme. I love experimenting with different media and ink is a very direct and unforgiving one. I combined collage elements in the drawing to give it a bit more depth.